SWOT Analysis is a simple model used in strategic planning to assess the Strengths and Weaknesses of an organization, combined with an inventory of Opportunities and Threats in the external environment. SWOT is a versatile tool that can be used at the organizational level, but can also be applied to departments, teams, programs and individuals. Given how widely used SWOT Analysis is, it is surprising to note that its origins are unclear. 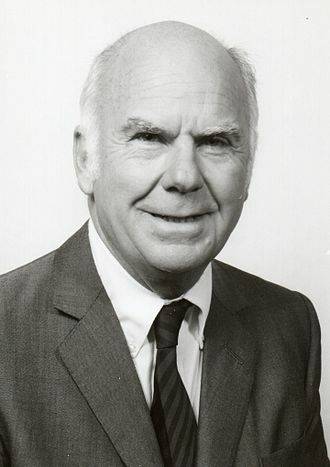 Many pages cite Albert S. Humphrey as the originator and state that he devised SWOT analysis whilst working on a research project at Stanford University. However no academic references appear to exist to support this claim. Adrian Haberberg claimed in a 2000 article "Swatting SWOT" that SWOT was widely used at Harvard in the 1960s. Suzanne Turner's book - Tools for success: A Manager's Guide offers up Igor Ansoff (of Ansoff Matrix fame). It is certainly unusual that such a widely used management model cannot be mapped back to an originator or paper. In December 2005, an abstract of an paper by Albert S. Humphrey was published posthumously in the SRI Alumni Association Newsletter. In the paper, Humphrey explicitly refutes claims that SWOT was developed elsewhere, "I'm told that Harvard and MIT have claimed credit for SWOT...not so!". He explains that SWOT analysis came from research conducted at SRI from 1960-1970, and that the original mnemonic was S.O.F.T He explains: "We started as the first step by asking, 'what's good and bad about the operation?' Then we asked, 'What is good and bad about the future?' What is good in the present is Satisfactory, good in the future is Opportunity, bad in the present is a Fault and bad in the future is a Threat." Humphrey goes on to note that SOFT was later changed to SWOT, but provides no further information on who made the change and why. Whilst the precise origins of SWOT are unclear, it seems plausible that it was developed in parallel by several people before a common mnemonic was agreed. Certainly by 1969 is appears to have been in general use and was mentioned in Business Policy: Text and cases in that same year. This lack of clear epistemology for SWOT may actually be part of the reason it has been so widely adopted. Several academics have developed and refined SWOT. In their book Strategic Management and Business Policy, Wheelen and Hunger advocated using SWOT as a basis for gap analysis between competencies and resources in the business environment. SWOT has also been adapted as a tool for creating User Stories, adopted as a Marketing tool and advocated as an Icebreaker. Draw up a two-by-two grid as shown above. Be clear what you are performing SWOT Analysis on. If you are undertaking a SWOT Analysis of the PMOs role within the organisation, you will come up with very different outputs than if you were to conduct SWOT Analysis on the company within the marketplace. Begin by looking Internally: Assessing your Strengths and Weaknesses. In this context, strengths can be defined as "the resources and capabilities that can be used to develop a competitive advantage". It is important to assess your strengths relative to your competitors. Is your brand more trusted than that of your competitors? If so, then it is a strength. Be honest and frank about your weaknesses as these are the areas that you may wish to target for improvement. Once you have looked Internally, shift to looking Externally. List opportunities and threats facing you. How can you distinguish yourself from the competition? What niche segments can you exploit? Conversely, consider the risks. Threats may come from a variety of sources. Technology innovation, market entrants and new legislation could all be sources of threats that you may wish to consider. Discuss the lists and consider the links between the four boxes. Which of your strengths will allow you to take advantage of opportunities or overcome threats? What weaknesses do you need to address to reap benefits? Consider how you can capitalize on your Strengths, eliminate Weaknesses, mitigate Threats and invest in Opportunities. Use the output from your SWOT Analysis as a basis for strategy planning and action setting. As noted in the Origins and History section above, SWOT can be used in a variety of contexts. It is most commonly used as a starting point for strategic planning. SWOT can work well in a workshop session to help everyone understand different perspectives and reach agreement on both the relative Strengths and Weaknesses of the organization, but also the Opportunities and Threats out in the marketplace. SWOT Analysis can also be a useful exercise when considering mergers or acquisitions or investment opportunities. SWOT can also be used at a team level. If we consider the PMO, it may be useful to objectively assess the Strengths and Weaknesses of the team. What skills do you have? What resources are at your disposal? What are you good at? And what are you bad at? Once you've thought about Strengths and Weaknesses, move on to exploring Opportunities and Threats within the organization. Where do gaps exist in the organization that the PMO could fill, or offer support? Who is challenging the value of the PMO and what arguments are they using? This kind of assessment can help the team map out its objectives for the following year. Several sites advocate conducting an individual SWOT Analysis help you better understand how to play to your strengths and manage your weaknesses, as well as uncover opportunities for growth and eliminate threats and blockers that could keep you from moving forwards in your career. There has been much criticism leveled at SWOT Analysis. In 1993-1994, Terry Hill and Roy Westbrook undertook a piece of research in the UK, reviewing the use of SWOT Analysis at 20 UK manufacturing companies. They published their work under the heading "SWOT Analysis: It's Time for a Product Recall". In the paper they noted that "SWOT as deployed in these  companies was ineffective as a means of analysis or as part of a corporate strategy review. Indeed, it is arguable that this SWOT activity and its outputs do not constitute analysis at all...The outputs delivered using [SWOT] lacked relevance and afforded inadequate insights. The results were uniformly of little value in terms of corporate strategy development". They concluded by arguing that SWOT Analysis had long passed its sell-by date. Managers believe it is useful and think it has a strong foundation in theory and research. In fact, there is no piece of underlying theory that shows how, by examining strengths, weaknesses, opportunities and threats, and only these four factors, we can arrive at a complete appraisal of an organization's position. In fact, SWOT bears all the hallmarks of a gadget that someone sketched out on the back of an envelope one day and that just caught on. Users of SWOT would do well to heed these criticisms and treat SWOT with care. It has its uses as a back-of-an-envelope model to convey ideas, seek alignment and articulate a view of the team or organization. However, it should not ever be mistaken for a robust, research-based technique for analyzing an organization.